Provide comfort for the family of Eda Chisvette with a meaningful gesture of sympathy. 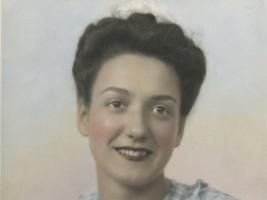 Eda Carmina Chisvette (nee Galietti), age 93, of Burlington, N.J., passed away peacefully on Wednesday, February 20, 2019. Eda was born and raised in Newark, N.J., daughter of Rose and Pasquale Galietti. She was one of seven siblings. 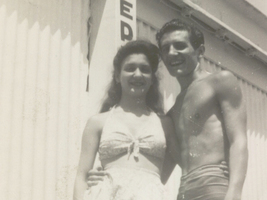 Eda married high school sweetheart Dominick Chisvette in 1947. They moved to Colonia, N.J., in the early 1950s where they raised their family and lived for the next 30 years. In 50 years of marriage, Eda and Dom had three children, traveled the world to such favorite locations as Italy and Greece, and retired to Holiday Village in Mount Laurel, N.J.
During her 30+ years in Holiday Village, Eda taught line dancing and numerous crafts classes and was a longtime AARP Chapter 4003 volunteer. 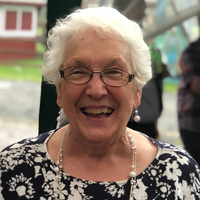 She moved to Masonic Village at Burlington in 2015, where she served for three years as secretary of the Independent Living residents’ board, managed the library, contributed on the dining and new resident welcome committees, and was a ready volunteer whenever additional service was needed. A vibrant personality, Eda was often surrounded by a circle of friends. 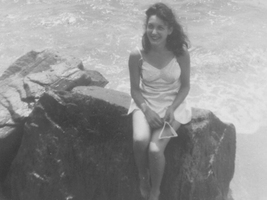 Eda is survived by her brother Orlon (Angela) Galietti; three children: Donna Gibney (Robert) of Plymouth, Mass. ; Mark (Monica) of Pompton Lakes, N.J.; and Lisa Lindstrom (Dean) of Fort Collins, Colo.; eight grandchildren: Amanda Weko (Matthew), Emily Berry (James), Cynthia McCann (Tyler), Kevin Chisvette, Erik Lindstrom, Karson Lindstrom (Katlyn), Vincent Chisvette, and Drake Lindstrom; and nine great-grandchildren. She was predeceased by her husband, Dominick, and five of her siblings. We encourage you to share your most beloved memories of Eda here, so that the family and other loved ones can always see it. You can upload cherished photographs, or share your favorite stories, and can even comment on those shared by others.